Halo Custom Edition, commonly abbreviated Halo CE, is a standalone, multiplayer-only, expansion for the PC version of Halo: Combat Evolved. The expansion was released on March 15, 2004 by Gearbox Software as an unsupported version of the original game. Similar to its PC version, the expansion requires a key-code during installation. Screenshot of Halo 2: New Mombasa, a user-created map based on the Halo 2 E3 trailer. Halo Custom Edition allows players to browse and play user-created content and maps created with modding kits. Modders would use the Halo Editing Kit to incorporate custom models, images, physics, and data into an easily distributed .MAP file, which is compressed and uploaded. The amount of custom content varies widely but is limited by the game engine's capabilities. A few examples of user-created content may include custom character models that uses an Elite biped instead of the default Spartan biped, a Call of Duty-inspired level or even special animations and effects for weapons, melee and reloading. Most of these user-created content and maps are available in dedicated modding community websites such as Modacity and halomaps.org. Two small features were added to the game such as the ability to display the specific for the gametype currently being played in the server (by pressing F2), and the ability to display the name of all players in the same team above their respective green arrows (by pressing F3). Additionally, an arguably better net-code was put into Halo: Custom Edition as well. The game has noticeably reduced latency issues compared to Halo PC. 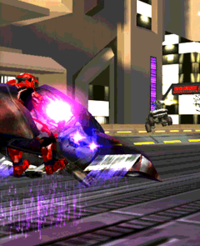 Several modding communities have emerged since the advent of Halo Custom Edition. One of the most prominent modding community website is halomaps.org which has the most updated multiplayer custom maps. Members of the modding community often discuss about user-created content and explores the need of "room for improvement", with several others providing tutorials to guide new members to modding and to share their findings of tinkering with the Halo engine with the rest of the members. The modding community contribute their custom content in various projects, ranging from a production of machinima to development a single-player campaign and recreation of multiplayer maps from newer Halo titles and from other entertainment titles.